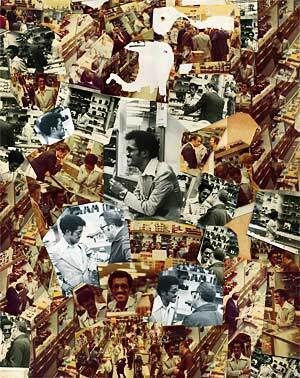 About a month ago, Brooks Cameras in San Francisco closed its doors. I was a customer there for several years and already miss the store a lot. 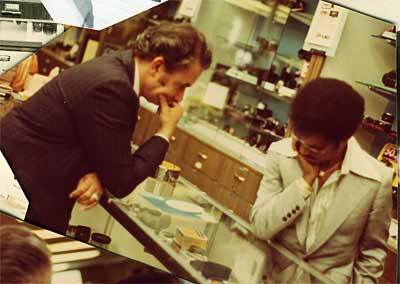 The store often had portraits of stars of the 1960s in their window, usually without much of an explanation, other than the obvious implication of "we've been here for a while". 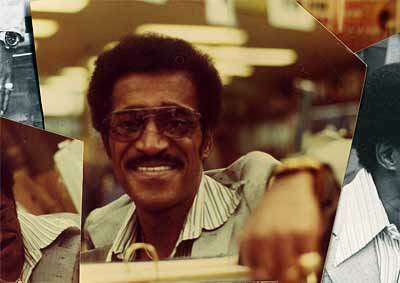 One of the frequent stars to appear in the window was Sammy Davis Jr. 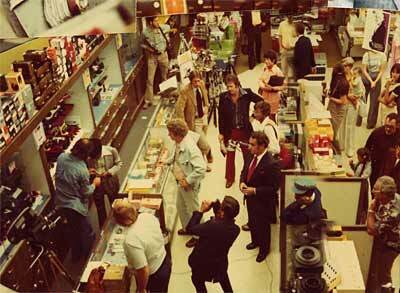 In 1976, Sammy seems to have come to the store on one memorable day to shoot a TV ad for Brooks Cameras, probably as a favor for his friend. 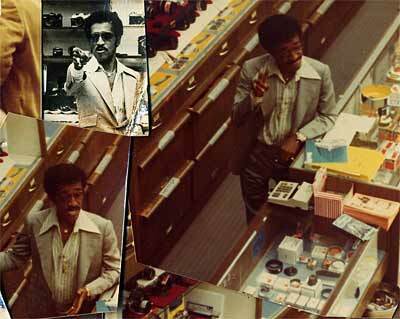 And a photographer, Jerry Valente, took what looks like a dozen rolls of films on that day in the store and later presented a rough collection of the clipped photos to Mr. Brooks - it is signed on the back "Love, Jerry Valente, 1976". The board with the photos then probably hung on a wall in the back of the shop for many years and resurfaced on the day when the store finally closed after being in business for more than 70 years. 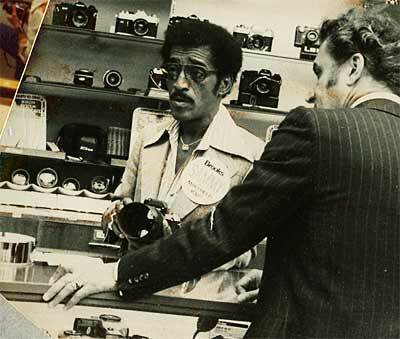 Sammy with a camera. The oversized button on his jacket says "Brooks - SAMMY - May I Help You?"